With the end of the semester just two weeks away final tests are on everyone’s mind along with plans for the summer break. Another major item that needs to be addressed is the security of the fraternity during the break. 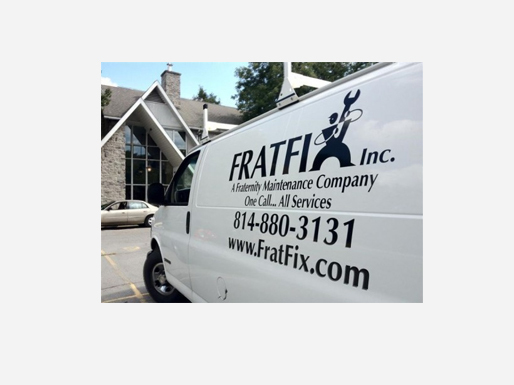 FRATFIX provides the services that will keep your house secure and code compliant. For details call (814) 880-3131. With the weather showing signs of moderating, it’s time for spring cleanup. FRATFIX sells mulch and can provide services needed at a competitive price. Use the Supplies Request option under the Service Request tab. Visit our Event Planning Page to find out how FRATFIX can help plan all your future events including the rental of tables, chairs and other necessities. We have made some changes to our website, especially on the ‘Supplies Page’ to reduce the amount of scrolling necessary. If you have any questions, call us at (814) 880-3131, submit a supplies or work request (see CUSTOMERS tab above) or send us an email at gxb021@yahoo.com. We are also on Facebook.